Kenneth Forsyth, 79, passed away early Saturday morning, February 2nd, 2019 at Brighton Gardens in Prairie Village, Kansas. Visitation will be at Countryside United Methodist Church, 3221 SW Burlingame Road, Topeka, Kansas on Saturday, February 16th, 2019 from 1:00 - 3:00 p.m. The funeral service will be at Countryside at 3:00 PM immediately following the visitation. The family suggests donations in Ken’s name to Countryside United Methodist Church, Topeka, or to the Kenneth A Forsyth Memorial Scholarship at Washburn Rural High School, Topeka, Kansas. Funeral arrangements are being handled by Dove Cremations and Funerals, Southeast Chapel, Topeka, Kansas. For more information, contact the funeral home at 785.266.6700 or at www.DoveTopeka.com. Kenneth was born on September 9, 1939 to Allen and Bessie Forsyth in Howard, Kansas. Ken attended Howard schools and graduated from Howard High School in 1957. He graduated from Southwestern College with a Bachelor’s degree in Music, and while completing his Master’s degree in Music Education at Wichita State University, Ken met his partner in music and life, Joanne Rackley. They married in 1971, and Ken happily adopted Joanne’s three children, Patti, John and Deana shortly after. In 1974, Matthew Kent was born. With his new family, Ken began a 43-year career in Kansas Music Education, sharing his love of music with students in Leon, Howard, Columbus, Marion, Salina, Wichita North and Washburn Rural public schools, with college and university stints at Friends University, McPherson College and Southwestern College. 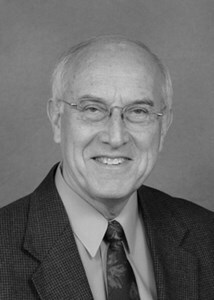 Over the years he received the KMEA Outstanding Choral Director of the Year, KCDA Harry Robert Wilson Award and was inducted into the Southwestern College Educators Hall of Fame, Washburn Rural High School Hall of Fame and the KMEA Hall of Fame. Ken (with Joanne, always a package deal) led the music programs in various churches, including UMC Marion, UMC Salina, UMC Winfield, FBC of Wichita and Countryside UMC. Through youth and adult choir trips, choir retreats, scavenger hunts and choir parties, Ken and Joanne were always finding new ways to minister and share God’s love through music. Every stop left an eternal imprint, forever impacting the people and places they had been. Ken is survived by four children: Patti (Tom), John (Deborah), Deana (Don) and Matt; eight grandchildren: Joel (Megan), Leann (Phillip), Katie, Rebecca, Joy (Robert), Reid (Ana), Abbie (Andrew) and Dashel; seven great-grandchildren: Rylee, Clayton, Kollin, Wesley, Grace, Malia, Baby J; brothers and sisters: Paula Henry, Don (Dianna) Forsyth, and Charles (Jodie) Forsyth; and many nieces, nephews and friends. Ken spent his life giving to others. He gave his love and his attention to anyone who needed it. He gave the gift of music to hundreds upon hundreds, from child to adult. He loved meeting new people and everyone he met was affected forever by his presence. He was a humble and compassionate man. He would have been the first to tell you that he was just one of many influences in other’s lives. However, through the outpouring of sympathy and memories we have received, it is obvious his presence was a catalyst for greatness and a shining example of living a life of service and love. He was the perfect representation of God’s power to change the world through one individual. His life will live on through each kind word given and each beautiful note sung or played by those who were lucky enough to meet him. Add your memories to the guest book of Kenneth Forsyth. I am so sad to hear the passing of ken. Ken and my mother in law Audrey loved singing and dancing together at the arbors. Ken was always my favorite. May god give your family strength and peace. I enjoyed the video that was prepared, and seeing all of the wonderful photos that encapsulated Ken's zest for life, love for Joanne, and love of his students! He was (and still is) an amazing individual who has touched the world for good through his Christlike service, and has joined the choirs of heaven with his wife! Thank you for all the lovely memories in high school choir, musicals, and life in general! Please accept our sincere condolences from down here in Denton, Texas. I was so saddened to hear that Ken had passed away, yet comforted that he had nearly reached the age of 80 in his beautiful, caring, sharing, musical life. He was truly a man after God’s heart. I was hoping to be able to come to Topeka this weekend, but the threat of snowstorms might preclude that. Forgive me, then, if I write a bit here. I was always singing from earliest childhood, but I have to name Ken as my first true singing mentor. As soon as he arrived in Marion, KS, he plucked me out of the tenor section and assured me that I was a high soprano. What a life-changer right there… In his all-out enthusiastic way, Ken instilled a sense of purpose to the act of singing; each message for the audience became like a Word from a truly grateful heart, a spiritual place. Each class period, he encouraged us with his irrepressible joy, whole-hearted passion and with that, an expectation of excellence. We worked hard for Mr. Forsyth: “oh, come on, folks!" he’d sometimes chide in exasperation, challenging us to listen more closely, breathe more deeply, sing with more understanding and expression. And he could be so corny and fun. I remember his amazing handstands, his impression of Stan Laurel, his genuine laugh, and that he could come up with something as up-to-date and daring as The Swing Singers! I also realize what a true God-send he was to me. Not long after my dad passed away, Ken entrusted me with the lead in My Fair Lady. Time after time he helped my heart heal through the music he assigned me for school, for church services at Valley United Methodist, and in the community. Only years later did I even begin to understand how important his quiet and powerful mentoring was. I was so happy that he also taught at Friends University during my time there. When he set his sights on wonderful Joanne, everyone wanted to take credit for ‘matching them up.’ They were so perfect for one another! He kept in touch through many years and was especially thrilled when Mike Steinel and I married, now 22 years ago. He was overjoyed for the success of our musical endeavors, and always was so forthcoming with his expression of how proud he was of both of us; that music had become such a defining part of who were both are today: performers and teachers of music. I join countless others who have already said: Ken Forsyth made a profound difference in my life by his example, his guidance, his skill, his generosity and his Christ-like kindness. We have this blessed assurance: he is now in the presence of his Savior, and taking in all the wonders of the “music of the spheres” with Joanne and all of the heavenly host. Glory to God! I met Ken when he came to Friends University and became director of Concert Choir. We all just loved him! Many of us tried to figure out how we could match him up with JoAnne because they seemed so perfect for each other. I am convinced that was God's plan already. I was blessed to run into them both many times through the years at KMEA and ACDA. I know he was a blessing to countless students over the years. My thoughts and prayers are with your family. Greetings in the name of our father the Lord Jesus Christ: I am James C.Hunter,Jr. My memories of Ken are many, i will never forget meeting Ken for the first time, in the lower level of Christy Hall @Southwestern College in my freshman year, while i really did not know how i wound up there on that night, i was instructed to go there by my guidance counselor. Those in the building that night thought i was a music major, when in reality i was a home ec and design major,but i wanted to join the ensemble,Ken called me in where he sat at the piano and he said i want you to repeat what i play,i said ok.Ken played some scales and i sang them back, he looked bewildered and he played them again,i sung what i thought he was playing.Ken said wait here a minute, and he went into the next room and brought another professor into the room Michael Wilder, and Ken played the notes again, i repeated my scale back to him,what i came to find out was though i was singing the right notes, Ken was shocked that i a male student was singing the notes back in soprano range. Following that audition i was selected to sing with the formal A cappella choir, and also with the ensemble that i wanted to sing with. I am a tall 6'6" black male and always got to sing the spiritual leads for Ken, i might add that i was the ONLY black member of the choir during those years,until a female student joined two years later. Ken was Very protective of me both in class, and on choir tours. I learned a lot about music from Ken all of which i still use today. I will miss Ken and will Always Love he and Joanne for their love, and sharing their love of music and their love for each other with us all. Rest In Heaven Ken, That's if you can Rest, Lord knows that you'll want to work with those choirs :) Love you forever. Such a fine man, beloved by so many. Please accept our most sincere sympathy at this time of loss. There is not sufficient space for me to begin a story of all the impact Ken had on my life since I first met him in the early '70's. There is the time he came to Shawnee Hgts. to do a clinic for us-- the yearly attendance at KMEA, ACDA conventions-- the year of his term at McPherson College when he actully sang in my church choir (very humble choir) and JoAnn played our not-so-sophisticated orgen--the goofy, but very meaningful times with him and Charles at the symposiums, reading sessions, etc.--the times I was able to be enriched by hearing his choirs (and particularly the boys choirs) , the time of fun and learning at Green Lake with the music week in the summer--- the list goes on and on. But he will never realize how much I learned from his techniques, and the persuasive, yet sensitive personality that made choral music meaningful, worshipful, and fun. My heart is heavy-- and my thoughts and prayers go out to family and close friends. As Activities Director at Washburn Rural, I had the pleasure of watching close-up and next to Ken as he instilled in students an appreciation and a love for vocal music. Two of my children were blessed to sing in Ken’s music groups. Humorous side note- each year my sponsors had to create and submit a budget. Ken was always apologetic, but often late submitting. As I was whining about this to Billl Edwards, Principal at the time, Bill said, “let me remind you, Ken didn’t become a music Educator because he liked to create budgets.” Wise men both! Remembering Mr Forsyth as Concert Choir Director at Friends Univ in my freshman year (1970-1971); a real character! We didn’t rate the kind of spring tour the other choir got, but it wasn’t important; among our tour ‘biggies’ (as he called ‘em) were Marion, Rosalia, and Howard!! He was loved, and I’m sure he’ll be missed; what a wonderful life he had! What a beautiful tribute! Ken certainly was an amazing man. The little time I was privileged to know him, I experienced one who had a heart for great music and close-knit relationships with everyone he came in contact with. He will truly be missed by Shawnee Choral Society members who knew and love him. He was iconic in bringing SCS to where we are today! Will see you one day on the other side, Ken! To the Family of Ken Forsyth - In memory of Ken Forsyth, the Auburn-Washburn USD 437 Board of Education and Administration have donated $20.00 to the Auburn-Washburn Public Schools Foundation. The Auburn-Washburn Public Schools Foundation is an independent tax-exempt organization committed to enhancing, enriching, and expanding the educational opportunities in the Auburn-Washburn Community. The Board and Administration of the Auburn-Washburn School District join in extending heartfelt sympathy to you and your family. Ken's heart of a teacher was evident in all he did. His passion for education and music was unsurpassed. He cared for his students like they were his own children. I remember one year when he loaned his car to a student for prom. Ken made this world a better place for all. The music will live on for generations to come. Shawnee Choral Society was just finishing a Christmas concert on Topeka Performing Arts stage. As we were exiting the stage Ken spotted some mistletoe hanging and he swept Joanne in his arms and gave her a big kiss. He was an inspiring and talented director but I will always treasure witnessing his love and devotion for Joanne. WHEN I MOVED TO BREWSTER PLACE IN 2011, KEN WAS DIRECTOR OF THE BREWSTER SINGERS. KEN NEEDED A PIANO ACCOMPANIST FOR REHEARSALS AND I VOLUNTEERED. MANY FOND MEMORIES OF THOSE 2 YEARS, AFTER WHICH I DIRECTED THE SINGERS FOR THREE YEARS. KEN WAS A FINE FRIEND AND I WAS SORRY THAT HE DID NOT MOVE INTO BREWSTER PLACE. HOPE TO SEE HIM IN HEAVEN. - RICHARD NICHOL. Thanks Ken for believing in me and in later years for giving my own kids a great choral experience at WRHS. Ken was one of my choral director mentors, most of which are now singing and directing in heavenly choirs somewhere. I’m not sure I ever met a nicer more gentle, sincere man. I can’t imagine him having any enemies. He was so highly respected and with good reason in the choral community of Kansas. Ken touched a lot of lives in positive ways over many years. It was my pleasure to know him. I sang tenor with Ken in TFS, sang solos at CUMC and substituted for him there on occasions when he was gone. The world was a better place for having known him. He will be greatly missed. God’s speed sir. A Mr.Forsyth memory to share: When I was in the summer between sophomore and junior year a friend of mine was taking voice lessons from Mr. Forsyth and encouraged me to do it as well on a lark. During my first lesson Mr. Forsyth became excited and said, "Joanne, get in here and listen to her voice!" I didn't know I had nice voice and from then on out, my life changed. He encouraged me to become part of chorale, which led to This Generation, which led to University Choir at PSU, which led to a lifelong enjoyment of vocal music. In my adult life I have often been involved in music through church and most recently, my husband (a drummer) and I have been part of a classic country band. Music is something we have always enjoyed doing together. Thank you, Mr. Forsythe for enriching my life! Ken was such a good musician that was fun to work with! So sorry for his passing. He had a life well lived! Jim and I send a thoughts and prayers to his family. My sympathies to you and your family. Your dad was a wonderful man full of passion for his teaching and his students achievement. He was a big part of my decision to go into teaching as a profession. So sorry for the loss of your Dad. I have fond memories of high school choir and musicals with you dad directing . Steve and I send you and your family prayers. I first was introduced to Ken when he brought his men’s group from Marion to sing at Friends University where I was incoming Sophomore. They were incredible! It so exciting to hear that the very next year he would be joining the faculty at Friends. I was there when he and JoAnne found each other. I always admired and respected Ken and his choirs musicality, but most of all it was his character and love that I will cherish. Ken made this world a better place and will always be remembered by all those he touched through the gift of singing in a choir. The Heavanly Chorus has just gained one fabulous tenor. Sing on Brother, Sing On! My first wonderful musical experience with Ken happened in the 1960’s with our Howard GoGetters 4-H club . Our quartet with Ken, Jim Beiter, Mary Ellen Lloyd and myself earned the honor of going to the Hutchinson State Fair to sing. With Ken as the lead singer, of course we won a Blue ribbon! RIP beautiful sweet man and enjoy making music with the angels! What a loss. I remember fun times with Ken at the Howard Methodist Church and then when he became our teacher at Howard. He was such a good human being and a great teacher. It was fun to see him occasionally in Topeka. Many of my friends in our Washburn Rural area and from Countryside Methodist, speak of him with love and high regard. I hope to be at the services here in Topeka. Love and condolences to all your family. When I think of both Ken and Joann the first image that pops into my head were their wonderful shining smiles, and enthusiasm. I always looked forward every Christmas to the choir’s performance of Amal And The Night Visitor. My children loved being in the children’s choir under their tuteledge. They were greatly missed when they moved on.